Look: Bright pale yellow hue, with persistent small bubbles. Smell: Good intensity of aromas, with citric and apple hints. Taste: Good structure in the mouth, lively and easy to drink. The aftertaste is clean, fresh and persistent. 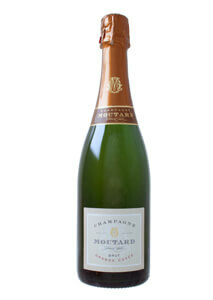 Pairing: Great as an aperitif, with starters, seafood and fish dishes. Drinking through the forthcoming year is recommended.